In stock - low quantity. Order in the next 3 hours, 52 minutes and it will go out today! 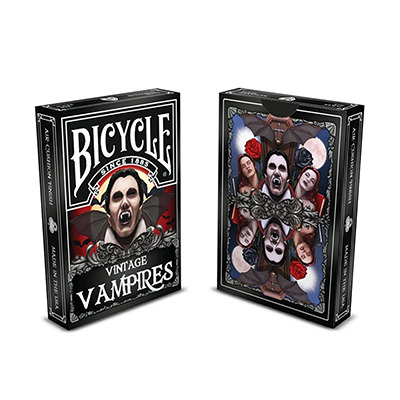 For the first time ever, some of the most iconic vampires of both literature and film are depicted together in this one of a kind, Bicycle playing card deck. 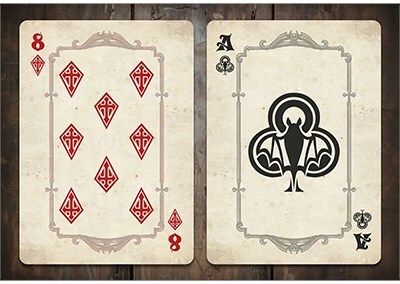 From classics like Bram Stoker's Dracula and Sheridan Le Fanu's Carmilla, to the modern innovations like G. D. Falksen's The Ouroboros Cycle, these cards bring three centuries of iconic vampires together for your enjoyment. 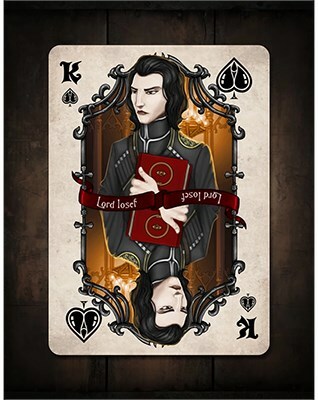 Beautifully designed and illustrated by artist Nat Iwata, this is a deck of cards no vampire fan should be without. 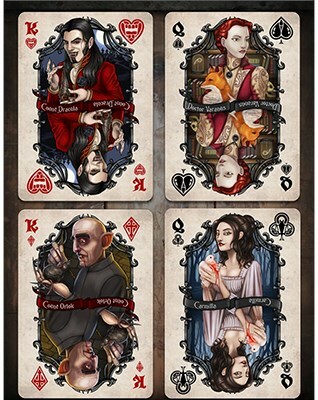 The complete deck of Vintage Vampire cards, each beautifully illustrated and featuring twelve iconic vampires as each of the face cards. 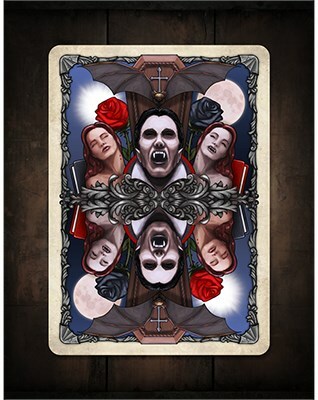 Every attention has been paid to detail, resulting in a unique work of art that any lover of vampires or vampire fiction will enjoy. The limited edition deck is edged and lettered with high quality foil and comes in a distinctive box, making it a true collector's item. Be sure to get them while you can, as only 1000 copies are made and after they're gone, they're gone.